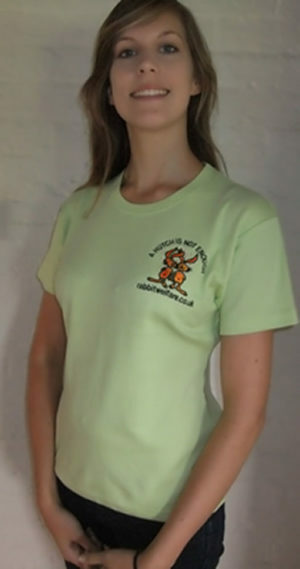 This lovely Tee Shirt is available in a vast range of colours; Light Pink, Hot Pink, Red, Lime, White, Black and Light Blue, a colour to suit everyone! 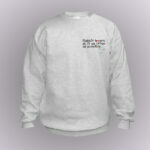 Available in three sizes; small (8), medium (10) and large (12). 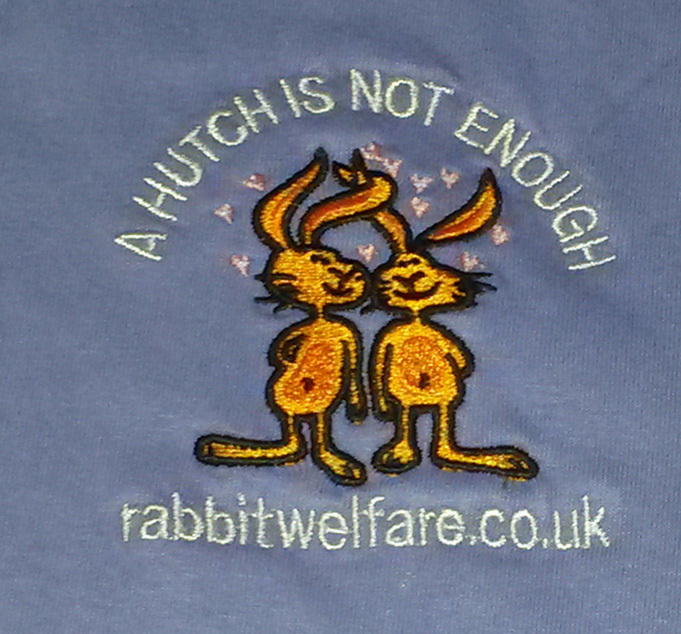 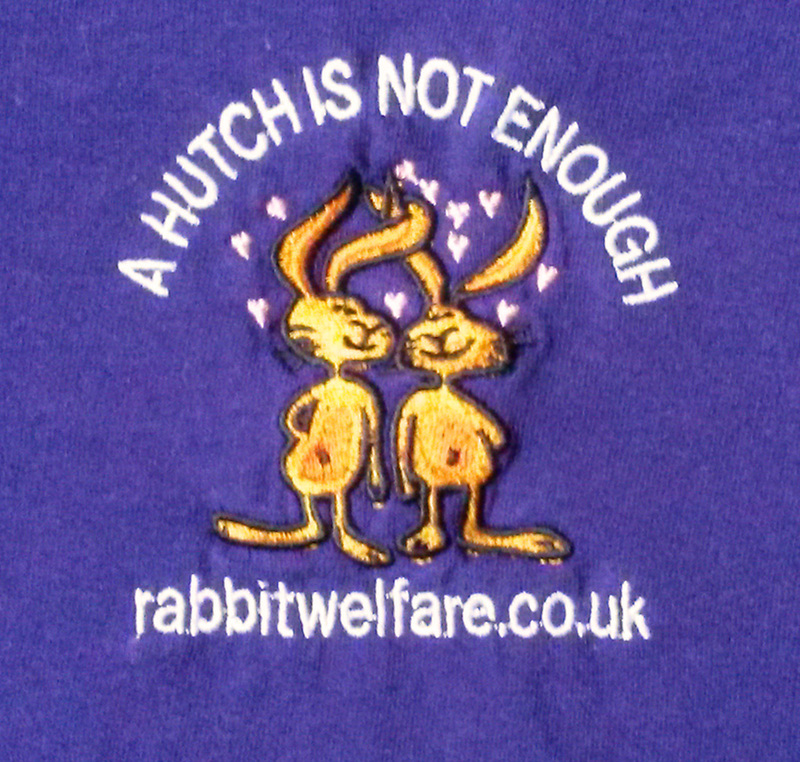 This Tee Shirt has an embroidered logo – ‘A Hutch is not enough’ with the two rabbits. 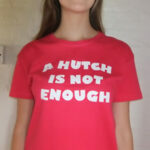 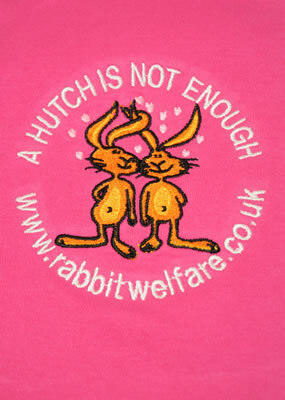 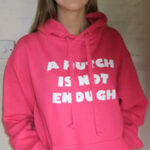 What a great way to show everyone you care and support the RWAF ‘A Hutch is Not Enough’ campaign this Summer!